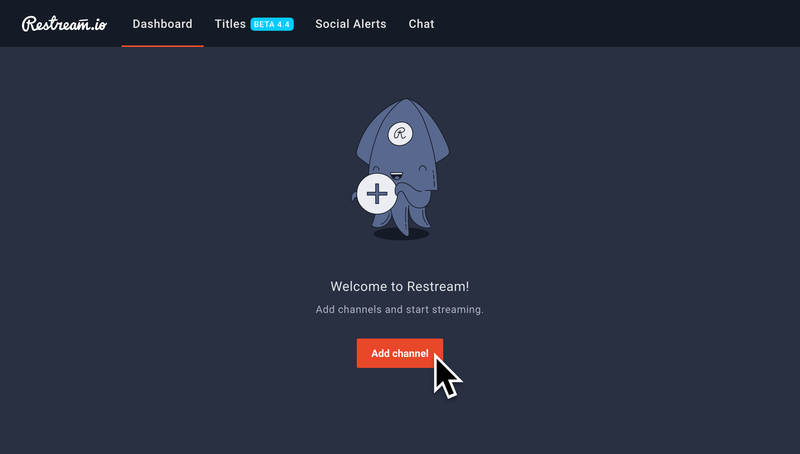 How to setup Twitch with Restream! 1. Go to the Restream Dashboard. 3. Choose “Twitch” from the Channel Listing. 4. Choose “Connect Twitch” from the Info Page. Tip: After you choose “Connect Twitch” you will be redirected to a Twitch Auth page. Here we ask for some basic permissions to help us change the title, description, stream key and send messages to your chat for you. 5. 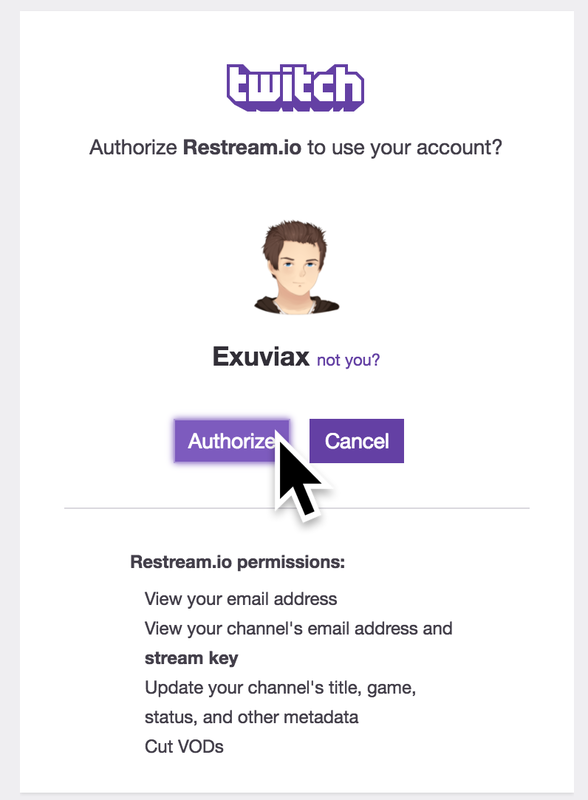 Choose “Authorize” from the Twitch Auth Page. 2. 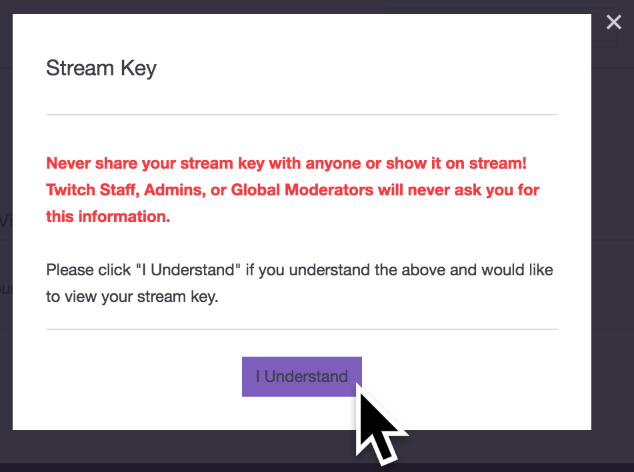 Head over to your Twitch Dashboard and select "Stream Key". 5. 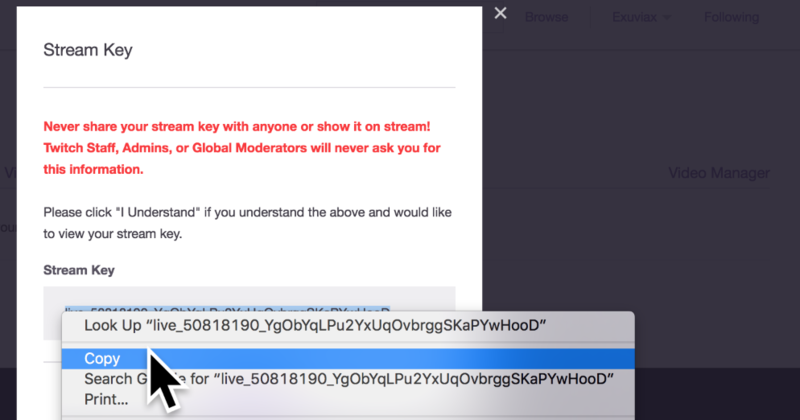 Copy your Stream Key. 6. Paste your Stream Key into "Stream Key" on Restream. 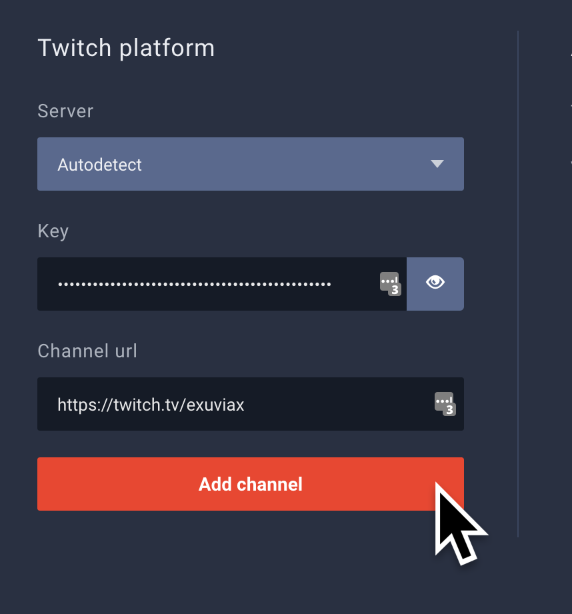 Tip: If you are experiencing lag or connection issues, change your Twitch Server away from Auto detect. Twitch is now connected to the Restream Dashboard!